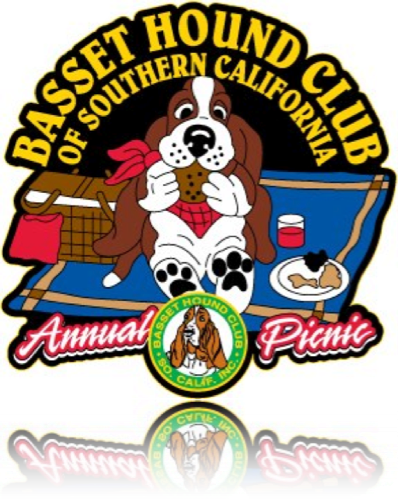 The Basset Hound Picnic was started many years ago as a fun event for BHCSC members. Over the ensuing years it became an event where the club raised money to assist with the rescuing of unwanted basset hounds. 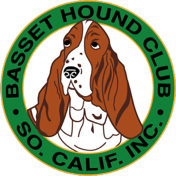 Most people don’t realize that the Basset Hound Club of Southern California, Inc. started one of the first basset hound rescue groups in the country. 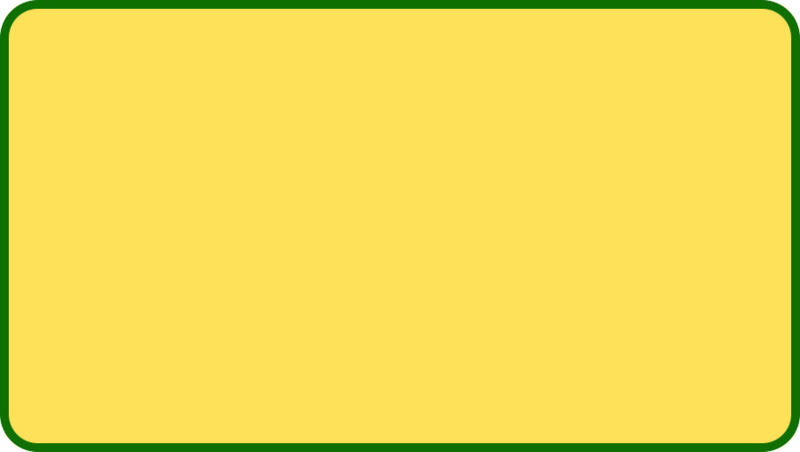 Today the club’s purpose for the picnic remains the same. Though the club gave control of the Basset Hound Rescue of Southern California over to another group of individuals and additional rescue organizations have formed in Southern California, the club has decided to use their profits from the picnic registrations and food sales for a Basset Hound Relief Fund to support basset hound rescue efforts in Southern California and bassets in need. We hope that you decide to join us this year for a fun day and to help us raise money for bassets in need. Remember the money we raise through selling our lunches goes to the club's Basset Hound Relief Fund. that helps bassets in need. "Walk in the Park" is a FREE parade in the center ring for ALL adopted and rescued basset hounds. The club thanks all who have adopted or rescued bassets. The theme for 2018 basset Hound Picnic is the Born to be Wild. A prop is anything not physically attached to the basset hound, i.e. people, special mode of transportation, signs/banners, objects, etc. Use your imagination. Contests and events may change for 2018. The BHCSC reserves the right to make changes, additions and deletions of contests and events up to the day of the picnic due to circumstances beyond our control. NO puppies under 3 months. NO puppy sales. NO offering of stud services. NO unauthorized sales in area. ALL dogs MUST have current shots. ALL dogs MUST be on a leash, in a crate, or in an x-pen and under control of owner at all times. The judges decisions are final. Everyone needs to clean up after his/her dogs. Please contact Sue Shoemaker for a vendor information and an application. 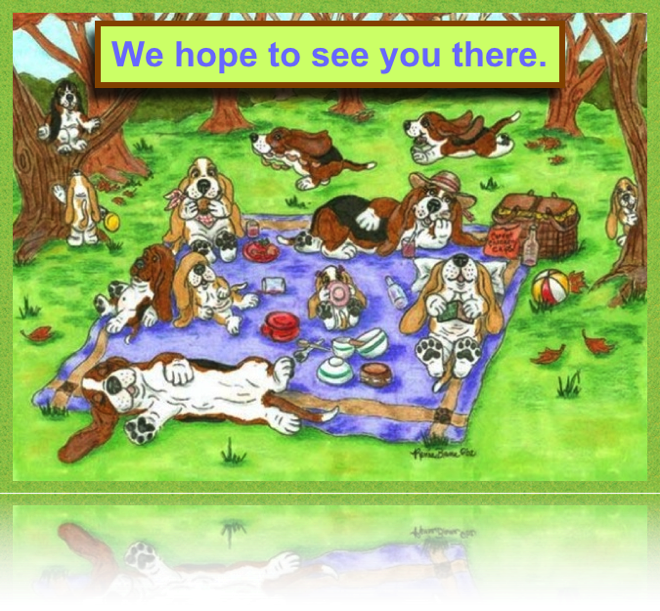 We hope to see you at the Basset Hound Picnic. Vendors must apply prior to the club's September meeting or pay for a retail seller's permit from the city. Sue can give you all the details. SPECIAL NOTE: The artwork/drawings on this page are copyrighted by Renee Bane. 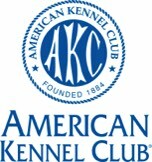 The rights to use them have been purchased by the Basset Hound Club of Southern California, Inc. 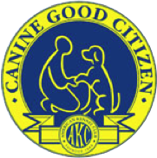 They are used here as an advertisement for the club’s annual Basset Hound Picnic and cannot be copied or used in any way without the expressed written permission from Renee Bane and the BHCSC. Check back here for possible changes. These are our 2017 vendors we hope most will return and others will be added for 2018. Check back here for any updates. The vendor list can change shortly before the event. Huell goes to the 1997 Basset Hound Picnic, sponsored by the Basset Hound Club of Southern California. Watch as the dogs are judged on longest ears, best howl, and saddest face. Peter Falk and his basset hound "Dog" came to the BHCSC Basset Hound Picnic to film the opening segment of one of his Columbo TV episodes. 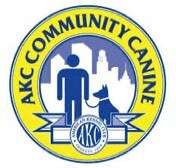 Click on the links above for more information on these AKC titles that your dog can earn including AKC Registered dogs, AKC PAL/ILP Registered Dogs and/or those enrolled as AKC Canine Partners. Information on these programs will be available. The flyer is a pdf file that can be downloaded and printed.